The Philippines has committed to pursuing reforms that will further liberalize trade and ensure a faster, more stable and inclusive growth at the World Trade Organization’s (WTO) policy review in Geneva last week. The Philippines was commended for its economic performance amid the global financial crisis in 2008 and 2009, a local trade official leading the Manila delegation to the review session said, but admitted that the country grappled with issues that stunted efforts to achieve a faster and more equitable growth. "During the review period, the Philippine economy maintained a steady growth amid the global economic crises, oil price shocks, and natural disasters," Trade Undersecretary Adrian S. Cristobal was quoted as saying at the Trade Policy Review (TPR) held on March 20 and 22. WTO member economies, thus, expressed concern that the Philippines was not living up to its "full potential" as the country needed to hasten business reforms, improve infrastructure, and develop further its tourism industry. 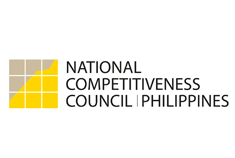 Mr. Cristobal, for his part, has assured the global body that the government is embarking on substantial reforms seen to boost competitiveness. "Trade plays a significant role in achieving inclusive growth, and that the Philippines will continue to pursue open and fair trade for the benefit of all," he said. Further, the Philippines has committed to pursuing greater market and product diversification, fostering innovation to move up the value chain, enhancing financial assistance access for small and medium enterprises, and holding more education campaigns about free trade agreements. In a related development, representatives from the European Union and the United States lauded the Philippine initiative to promote transparent governance and curb corruption. Such efforts, combined with the 2011-2016 Philippine Development Plan, could make the Philippines more attractive for trade and investments, the two major economies noted. "We see a very different picture now. Painstaking policy reforms planted in the past not only helped the economy survive powerful external shocks, but are now actually bearing fruit, putting the country in a more competitive position," Mr. Cristobal said. "Critical initiatives in improving governance put in place are now invigorated by a political will imposed from a highly trusted and credible political leadership," he added. The WTO conducts periodical TPRs on each member country to determine the progress of economic liberalization. The recent session marked the Philippines’ fourth review at the WTO with the last one held in 2005.